Subscribe now on iTunes and Stitcher! Tuba Ozkan-Haller heads up the Oregon State Nearshore Modeling Group. She's the associate dean for faculty advancement and research in the College of Earth, Ocean, and Atmospheric Sciences and a professor in the College of Engineering's School of Civil and Construction Engineering. Jim Thomson is a principal oceanographer in the University of Washington's Applied Physics Lab. He's also an associate professor in UW's Civil and Environmental Engineering program. 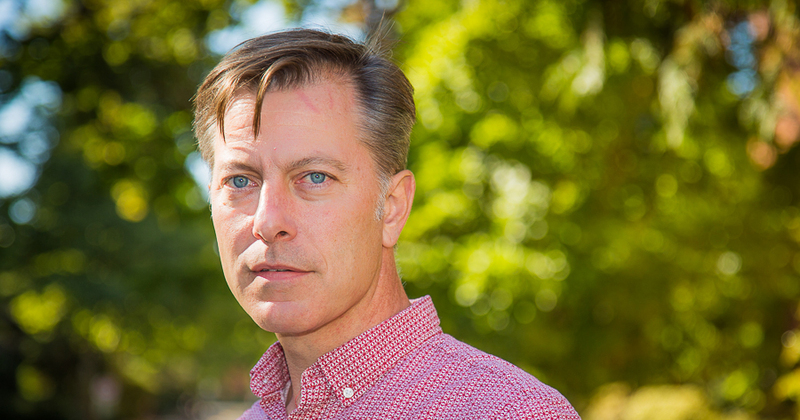 Merrick Haller leads the Oregon State Nearshore Remote Sensing Group. He's a professor in the College of Engineering's School of Civil and Construction Engineering and the College of Earth, Ocean, and Atmospheric Sciences. ODEGAARD: A few miles off Yaquina Head, on the central Oregon Coast near the fishing town of Newport, a helicopter crewmember stands in the open door of a helicopter. It’s hovering over the Northwest National Marine Energy Center’s North Energy Test Site--a one square nautical mile section of ocean set aside for marine energy related testing and research. It’s nasty out, with the wind howling, and waves out here in the open ocean are whitecapped mountains. Every so often, the ocean spins up just the right physics for a wave to break and a mountain crashes. You’d have very little chance of making it over the Newport bar in a boat during a storm like this. And even if you did, the Coast Guard would probably have to come rescue you. A helicopter is the only way to get out to the site in relative safety. From the backseats of the helicopter, the crewmember picks up first one bundle and then another, each about the size of a person, and throws them out the door. They land down there in the gray and white chaos of the Pacific Ocean, and get to work. 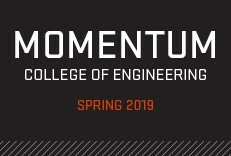 NARRATOR: From the College of Engineering at Oregon State University, this is Engineering Out Loud. ODEGAARD: The helicopter was out in the storm under the direction of Jim Thomson, who spoke with me over the phone from Seattle, he’s a principal oceanographer at the University of Washington’s Applied Physics Lab. JIM THOMSON: I am also a professor in the department of Civil & Environmental Engineering at the University of Washington. ODEGAARD: He’s working on a research project modeling large waves with a couple of folks here at Oregon State. 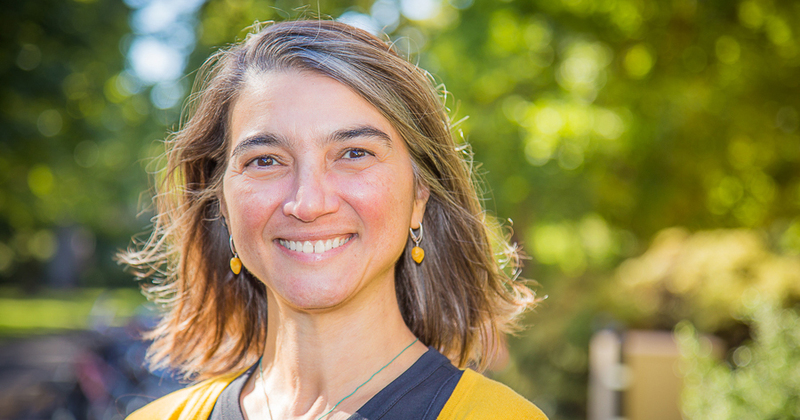 TUBA OZKAN-HALLER: My name is Tuba Ozkan-Haller and I am a professor here at OSU. My primary appointment is in the College of Earth, Ocean, & Atmospheric Sciences, where I'm also an Associate Dean. But, I also have a partial appointment within the College of Engineering. MERRICK HALLER: My name is Merrick Haller, I'm a professor in the School of Civil & Construction Engineering. I also have a joint appointment in the College of Earth, Ocean, & Atmospheric Sciences. ODEGAARD: This wave modeling project is just one of many research projects under the umbrella of the Northwest National Marine Renewable Energy Center or NNMREC. NNMREC was founded by the Department of Energy in 2008 and has three main university partners: Oregon State University, University of Washington and University of Alaska Fairbanks. Here’s Belinda Batten, she is NNMREC’s Former Director and current Executive Associate Dean of the Oregon State College of Engineering. BELINDA BATTEN: NNMREC's mission is to advance marine energy by filling the knowledge gaps that exist right now, and so we've got strengths in research and testing. When you look at where the challenges are to advancing the industry, they're the technological ones; how do the wave energy or tidal energy converters work? There are environmental considerations; what happens when you put these converters in the ocean? ODEGAARD: Before you can know what happens when you put a wave energy converter in the ocean, you have to find out what’s happening in the ocean itself, with the waves in particular. This is what Jim, Tuba, and Merrick have been working on for most of their careers. Tuba heads the Nearshore Modeling group at Oregon State. 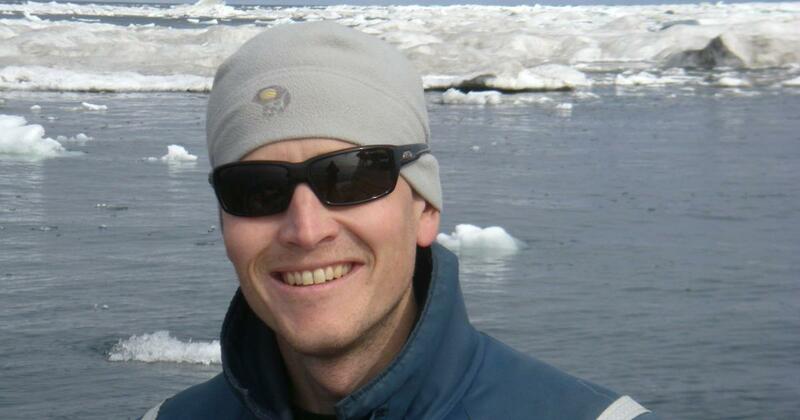 ODEGAARD: Meanwhile, Merrick leads Oregon State’s Nearshore Remote Sensing group. HALLER: A lot of my work is with nearshore remote sensing. I'm using RADAR remote sensing, mostly, the purpose of which is to look at how waves transform as they enter the surf zone, especially where and when they break, because that's a big driver of nearshore currents. It also leads to dangerous wave conditions, so we're interested in characterizing breaking from remote sensing for that reason, as well. ODEGAARD: And Jim, as was mentioned earlier, leads a group within the University of Washington’s Applied Physics Lab. THOMSON: The things that we work on with my group are largely related to waves of the ocean's surface, and the turbulence that's generated when those waves break, and the kind of mixing that happens beneath those. OZKAN-HALLER: Right. So, I think all three of us have been involved from the get-go in the NNMREC project. So, it's almost been a decade, now. And we started, really, the wave characterization work by just looking at what the waves looked like throughout the year, what the average conditions were, what the operating conditions might be for these devices. So we've been working really together for quite a while. As the companies that we work with and interface with learned more about the wave field, they started asking more questions about, what about the extreme? What is it that we're going to have to do? So, it's been in evolving project, maybe, over quite a while. ODEGAARD: One thing they’re trying to figure out is how to predict and model waves not just when the ocean’s in a relatively normal state, but what’s going on when it really lets its hair down and roars with all the fury Mother Nature gave it. It’s these types of massive, nasty, ship-splitting waves and storms that wave energy converters would have to survive. THOMSON:For this project, we chose a cutoff of wave-heights that are over eight meters, so, you know that's almost thirty feet. And, of course, the ocean has a lot of randomness to it, so when we toss out these numbers, we use a very specific measure called a significant wave height, which is approximately the average of the highest 1/3 of the waves in the conditions that are out there. So, you know, any given set of waves will have a bunch of different wave heights in there, but that eight-meter significant wave height is what we chose for this project. ODEGAARD: This significant wave height cut off of eight meters wasn’t selected randomly. Jim, Tuba, and Merrick pulled data from the Stonewall Bank National Data Buoy 20 nautical miles--or roughly 23 regular miles--off the coast of Newport Oregon. THOMSON: and we were looking at those records, and we were looking at some prior work that Tuba had done, and we said, okay, that is something like a 99th percentile, it's a very rare event, it happens once or twice a winter that you have an event come through that has waves greater than eight meters, so let's use that as our definition of "extreme" and let's go target that specifically in this project. ODEGAARD: Just how they target these events brings us back to the beginning of the episode, with the crewmember tossing those bundles, which are data-gathering buoys, into the Pacific Ocean. THOMSON: These buoys, we call them SWIFT buoys - that acronym stands for Surface Wave Instrument Flow with Tracking. We make them here, in my lab, at the University of Washington. ODEGAARD: These SWIFT buoys can be outfitted with a variety of instruments and sensors. For this project they’re loaded up with a camera, accelerometers, gyroscopes, and magnetometers. Then, in a reverse Noah’s Ark situation, they’re tossed out of the helicopter two at a time at the North Energy Test Site--one of NNMREC’s designated open ocean testing sites--and drift along for the ride, wherever the ocean carries them, gathering data all the while. When to deploy these buoys--remember wave events like this are rare--comes down to modeling and a bit of guesswork. Here’s Tuba. OZKAN-HALLER: So, these numerical models that have been developed over the last few decades are really manifestations of our best level of understanding of how the ocean works. And, as math is sort of the language of this, they are all coded up in terms of mathematical relationships. So, they look at things like how much energy comes from the wind and is transmitted into the water in the form of waves, how is that energy traveling, and then how much of that energy is lost through things like deepwater whitecapping breaking, for instance. So all of that is encoded in these models. So, then you can start with the set of conditions, and in our case, we have a global wave model that we run. Nested into it is an east and north pacific model, and then within that, is a more higher-resolution Oregon model that we run. And we make these forecasts every day, but, essentially, it is those forecasts that we're using to try to guess whether or not this would be a good time, for instance, to try to gather more information using Jim's SWIFT buoys. ODEGAARD: As the project got going, they found that the models worked pretty well for some storms, but for others, actual wave heights were about twice as high as predicted. These storms are storms where offshore winds are blocked from going up and over the coastal range by atmospheric conditions, and instead veer north in a narrow band, parallel to both the mountains and the coast-- a phenomenon known as the coastal jet. OZKAN-HALLER: And when that happens, that pumps a lot of extra energy into the wave field, and in order to predict that, we have to have a pretty good high-resolution understanding of how that wind jet, what it really looks like. So, there were some tense moments around trying to make those guesses and then also digging more into the model physics, and seeing what it is that we're actually missing. And that's really been some forensic detective work, if you will, that I really enjoy that kind of work, trying to piece together what is it that's happening. It's when the models fail that we really learn something. ODEGAARD: As the models and guesswork were fine-tuned, the team was able to make better decisions on when to deploy their SWIFT buoys to capture the data on 99th percentile waves that they were looking for. Waves the likes of which most of us have never seen. THOMSON: I think mostly when we have a picture of breaking waves, we're picturing the surf zone, we're picturing where the waves have shoaled all the way in from the deep ocean, and then unload all their energy right at the beach and break, and the big storm emits quite violently. But they also break out in deep water, and that is process that is much more random. When you see a wave that's coming to the beach, you know it's going to break at some point, right? You know to beware of that. But out in deep water as waves come through and as they move through the randomness that is inherent to that system, occasionally they'll be one wave that's bigger than the others and that's steeper than the others, and if it's steep enough, it becomes unstable and it breaks. ODEGAARD: The question is, what happens during and after it breaks? THOMSON: Because that's when all of our, the dynamics that we teach in a classroom and all of the things that we're able to do easily in a forecast model or a predictive model - all those things go out the window at that point. Once the wave breaks, then we're in a whole new set of dynamics, and the way that we would quickly make calculations and say, oh, with these waves you would see these kinds of velocities and these kinds of accelerations, that's all gone. We have had a hard time in the past being able to really have a good quantitative description of what happens in breaking. ODEGAARD: That’s where the SWIFT buoys come in. THOMSON: The heart of the buoy is a combination of a GPS - that's a Global Positioning System, which many people use for hiking or navigating their cars or whatnot. The combination of that with what's called an inertial motion unit - that tracks acceleration, and the rate of turns, and those kind of things. From those two things, we try to build a complete picture of how the buoy is moving in space, and the rate of which it's moving in space. So, we work with a lot of that raw data, and the GPS signals in particular are actually incredibly rich; I think we all use them so much as just consumers trying to get from A to B in our car, we don't realize how much is in there. But there's a lot of fidelity in those measurements that we can unpack into getting the detailed motion, on the scale of centimeters per second, in terms of precision. So we really get nice motion data out of those. ODEGAARD: The buoys are also outfitted with another device we’re all familiar with. THOMSON: We have a small camera that is mounted to the top of the buoy, and it just looks at the ocean's surface right in front of the buoy, and it takes thousands and thousands of pictures throughout a deployment. And, so when we see what we think, we detect it as breaking motion, as an exceptional motion, as an outlier in the wave record. Then, we go look at the images, and we say, hey, is there a breaking wave there? Was there a bunch of foam? Was there a whitecap there? Is there something there? And we've really used that to tune up our algorithms to finding these extremes. ODEGAARD: Carried along by the storm, the SWIFT buoys eventually wash up on the beach. In one case they recovered a pair of them all the way up by the mouth of the Columbia River--a distance of about 100 miles. The data collected during these drifts, and incorporated into models, can then be turned over to wave energy companies to help them better know how to predict extreme wave conditions, but also how to design wave energy converters to withstand them. This is critical as Former NNMREC Director Belinda Batten, who you heard at the top of the show, explains. BATTEN: So, Merrick and Tuba and Jim are all engaged on a project around understanding extreme waves. When people say, okay, you've got a test facility, what are you looking for? We're looking for, what is the "best" wave energy converter, and I'm putting "best" in little air-quotes. Because how do you measure "best?" So, one way of measuring best is to look at the lowest cost of energy, or lowest levelized cost of energy. So, what are all the things that go into that? Well, one of the things that would go into that is how expensive is it to manufacture the wave energy converter, how expensive is it to operate and maintain. And one of the things that plays into that is either fatigue or failure, from operating in the extreme ocean environment that we have. Especially like we have off the Pacific Northwest. From the industry need, it's very important for the testing clients to understand what the effect of these extreme waves will be on their technology. ODEGAARD: Wave energy technology is still in its infancy. Having the sites to test and gather data, which NNMREC offers, will help it grow. BATTEN: So, I guess you could look at it as maybe marine energy is the last renewable energy frontier. I guess that's one way you might look at it, because it's one we don't hear about very much. You might say, well, why now? And you say, well, all the easy ones were done first, right? It's a lot easier to do things on the land than it is to do things in the ocean. If you think about communications - communications is so simple. We've got wireless-this and automated-that, and all these sensor things. Now, put them in the water, and you want them to communicate now, a hundred feet down in the water. If it's possible, it's a lot more expensive. I think there's huge promise for this technology, but since it's going to be harder, that's probably why it hasn't been done before. But I think it has huge promise; I think if you just about 50% of the world's population lives within 50 miles of a coast, then that somehow begs the question of, shouldn't we be thinking about how we might harvest that energy? ODEGAARD: In order to help figure out how to harvest that energy, NNMREC offers a full suite of facilities, and research goes way beyond just the SWIFT buoys we’ve focused on for this story. NNMREC’s test facilities stretch all down the coast from Fairbanks, Alaska to Newport, Oregon and research partners include Pacific Northwest National Laboratory, the National Renewable Energy Laboratory, and Sandia National Laboratories. Plus there are more than 40 industry partners. With a $35 million award from the U.S. Department of Energy, NNMREC is also in the final stages of designing and constructing a new grid connected test site just south of Newport known as the Pacific Marine Energy Center South Energy Test Site. BATTEN: This facility is planned to be sort of the last stop in the commercialization pipeline. So, based on the surveys that we've done with potential testing clients, we know that they would like to take out multiples and see how a small array behaves. So, they might have three or five of the same kind of wave energy converter in one berth to test the array effects. ODEGAARD: With researchers like Jim, Tuba, and Merrick gathering data and creating models to inform these clients on the cutting edge of development, and the ability to do real-world testing at world-class sites, NNMREC is helping fulfill its mission of advancing marine energy to a place that one-day it can produce some of the power that makes the world go round. BATTEN: I believe that as we look to a renewable energy future, we're going to see maybe a patchwork portfolio of different technologies that are very much tied to place. In the middle of the windy Midwest, you're likely to have wind turbines, and then wave energy converters are great off the West Coast. Similarly with solar - solar in Arizona, but maybe not in the rainiest parts of Hawaii. So I think marine energy definitely has a place. It's very exciting being involved in the research in these early stages, and I hope that in 10, 20 years, we may see some of these developments. ODEGAARD: This episode was produced and hosted by me, Jens Odegaard. Audio editing by Brian Blythe. 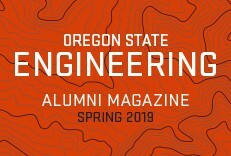 To see video of the SWIFT buoys being deployed, and find links to NNMREC and more details about Jim, Tuba, Merrick’s research, please visit our website engineeringoutloud.oregonstate.edu. Our intro music is “The Ether Bunny” by Eyes Closed Audio on SoundCloud and used with permission of a Creative Commons attribution license. Other music and effects in this episode were also used with appropriate licenses. You can find the links on our website. 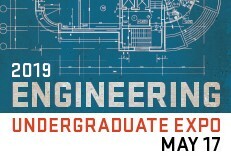 For more episodes, visit engineeringoutloud.oregonstate.edu or subscribe by searching “Engineering Out Loud” on your favorite podcast app. See ya on the flipside.